There’s a fair amount of buzz going round at the moment about Wi-Fi Direct, the latest thing from the WiFi Alliance people. 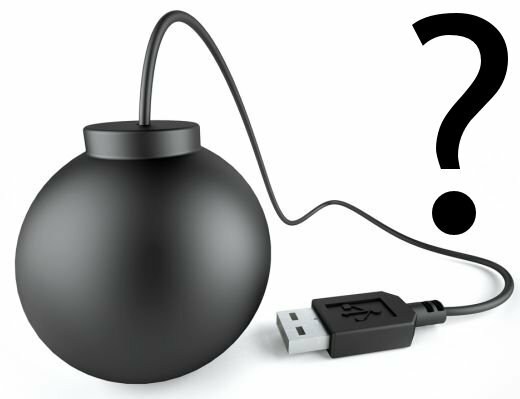 It appears for all intents and purposes to be a version of the 802.11 Ad-hoc mode, designed to allow for connections between individual devices without the use of an AP or router, which led to bnet.com claiming it was a “sales bomb” that would somehow destroy Bluetooth, kill the majority of AP sales, kill all the companies who make connector cables and create a large security problem to solve as we all switch over to using WiFi Direct to hook up our various gadgets. And they’re not alone in suggesting this is a bluetooth killer. 1. Bluetooth isn’t going to be destroyed, it’s perfectly safe. We’ve tested 802.11 and Bluetooth usage here on mobile phones as part of the Suura project and the difference in battery life isn’t just significant, it’s game-changing. Just scanning every few minutes (and powering down in between) with a phone’s 802.11 connection will drain a full battery in two or three hours on some of the older phones while bluetooth will give three times that or more even in continous usage. Bluetooth has a pretty much guaranteed role in the low-power end of the market for the foreseeable future no matter how much success WiFi Direct enjoys. 802.11a/b/g/n transceivers just draw too much power for us to see them in mobile phones replacing bluetooth modules for the next few years at least, and then only when someone invents a circuit that works at very low power over short ranges and higher power in normal mode (which is not a trivial exercise). And don’t forget, bluetooth was decried from the get-go and survived all the knocks because it’s good at what it’s designed for. 2. AP sales won’t take a dive for a while yet for several reasons. For marketing reasons, it’ll be a while before we see enough takeup of WiFi Direct for customers to be able to do without APs even if they wanted to. Plus, there are a lot of legacy devices which will still need APs to function. There’s also the point that there are less hassles with an AP for connecting devices. Lets say you have three computers in your home with WiFi and an AP and you get a WiFi-enabled printer. You set up one connection (Printer ↔ AP) and everyone can use the printer without having to create their own WiFi connection to it. With WiFi Direct, you have to set up three connections (Laptop1 ↔ Printer, Laptop2 ↔ Printer and Laptop3 ↔ Printer). A technology that adds work for the user for the same end goal is probably not going to succeed in the marketplace. And add to that the point that your connectivity to the internet is going to be a main driver for AP purchases for quite a while yet in the domestic market – regardless of how WiFi Direct works out, we will not be going over to 3G for all our data needs (or 4G/LTE/whatever MNO network you choose), not for some time and possibly not ever. It’s just too expensive – 3G basestation prices, spectrum limits and other factors make serving a single Mbit of connectivity two orders of magnitude more expensive with 3G than with WiFi and a wired backbone. While WiMax may make inroads here, it’s still going to be more expensive, and won’t be able to compete with a traditional DSL line to the house for some time yet. And don’t forget the people who were saying that the introduction of 802.11g would kill off 802.11b in the crib. Legacy systems are a powerful market force. 4. What, a security problem? With WiFi? What’s new there? We’ve seen password sniffing on open WiFi nets, then WEP was cracked and then WPA and frankly, if you think there’s no possible way to crack a WiFi connection security-wise, you’re deluding yourself. The trick is to make the encryption strong enough so that the cost of decrypting it exceeds the reward – economically-based security in other words. WiFi Direct introduces no new issues here, Bluetooth and Ad-hoc WiFi and even normal WiFi all have this same problem and have longstanding tried and tested solutions to it. Competitor to Bluetooth? Not universally. In some limited areas, yes, but until and unless extremely low-power WiFi chipsets turn up, it’s never going to happen for battery-powered devices. Interesting development? Well, sure 🙂 But not something to go around playing Chicken Little over. Bnet.com FAIL I think. I’m trying to drum up some initial beta testers/users for my new mobile traffic link swapping site, if you’re interested you can sign up @ http://mtopsite.com. If not, that’s cool too. Thanks!